If you type “WAIT6502,1? 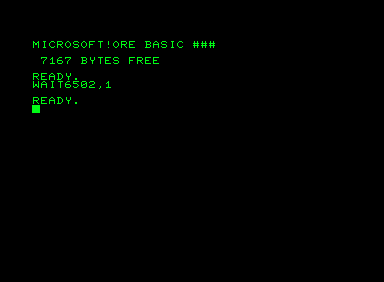 into a Commodore PET with BASIC V2 (1979), it will show the string “MICROSOFT!” at the top left corner of the screen. Legend has it Bill Gates himself inserted this easter egg “after he had had an argument with Commodore founder Jack Tramiel”, “just in case Commodore ever tried to claim that the code wasn’t from Microsoft”.